Photo Provided Nathan Deuley, a detective with the Parkersburg Police Department, receives the Partner With Courage Award from The Children’s Listening Place Executive Director Lisa Sutton at the 2019 WVCAN One With Courage Awards Reception on April 9. 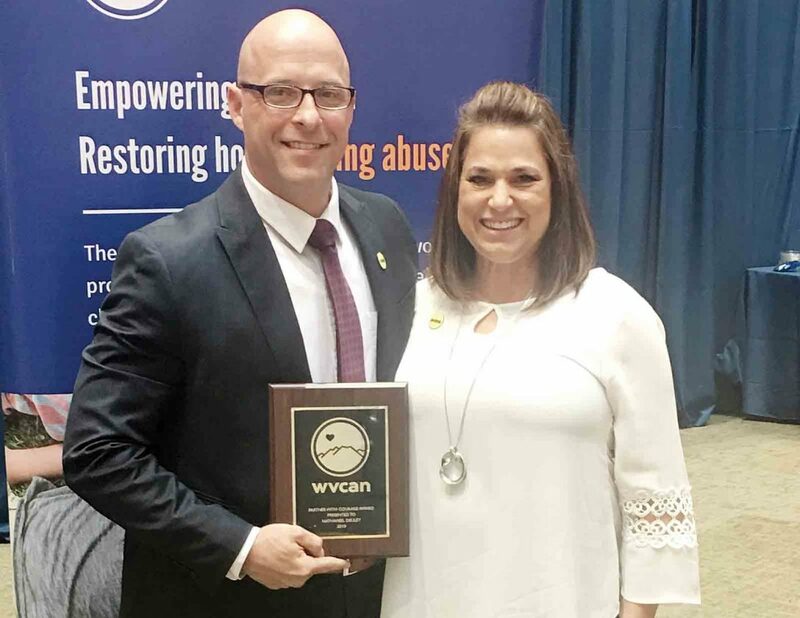 HUNTINGTON –Detective Nathan Deuley with the Parkersburg Police Department received the Partner With Courage Award from the West Virginia Child Advocacy Network for his commitment to the Child Advocacy Center movement in the state, officials said. The award was presented April 9 at the One With Courage Awards Reception during the 2019 WVCAN Conference at the Hoops Family Children’s Hospital at Cabell Huntington Hospital. The Partner With Courage Award recognizes an individual who has volunteered or partnered with the West Virginia Child Advocacy Network and Child Advocacy Centers to aid in their service to children. This past year, Deuley has been a leader in fighting child abuse in the Wood County area, officials said. Deuley is a member of the Wood County Child Abuse Response Team working with The Children’s Listening Place. 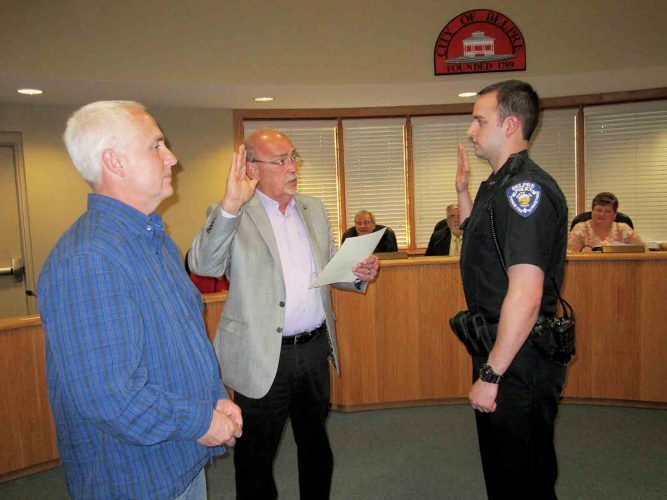 He also serves on the Wood County SWAT Team. During 2018, Deuley has made multiple arrests and criminal charges in child abuse cases involving physical and sexual abuse and neglect, according to a press release. Because of his work, Deuley has also received the Child Abuse Awareness award from the Wood County Child Abuse Response Team. West Virginia Child Advocacy Network is described as providing statewide leadership in the fight against child abuse while working side-by-side with the 21 Child Advocacy Centers and their multidisciplinary investigative teams throughout the state. WVCAN provides training, technical assistance, leadership, legislative and policy advocacy, and overall coordination for CACs around the state. A CAC is a child-friendly facility in which child protection, criminal justice and child treatment professionals work together to investigate abuse, hold offenders accountable, and help children heal, officials said. Rather than having a child taken from agency to agency to endure multiple interviews, the CAC model brings the system to the child for an effective, child-centered, healing process, officials said. WVCAN’s purpose is to empower local communities to provide comprehensive, coordinated and compassionate services to victims of child abuse, officials said. For more information about the West Virginia Child Advocacy Network and the WVCAN 2019 Conference, visit wvcan.org.